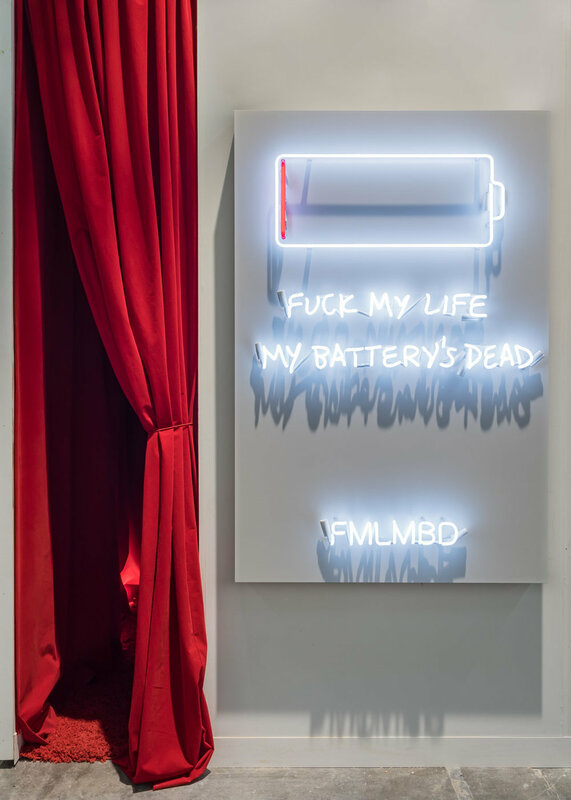 Hovnanian presented a neon installation featuring her neon FMLMBD from her Acronym Neons series. 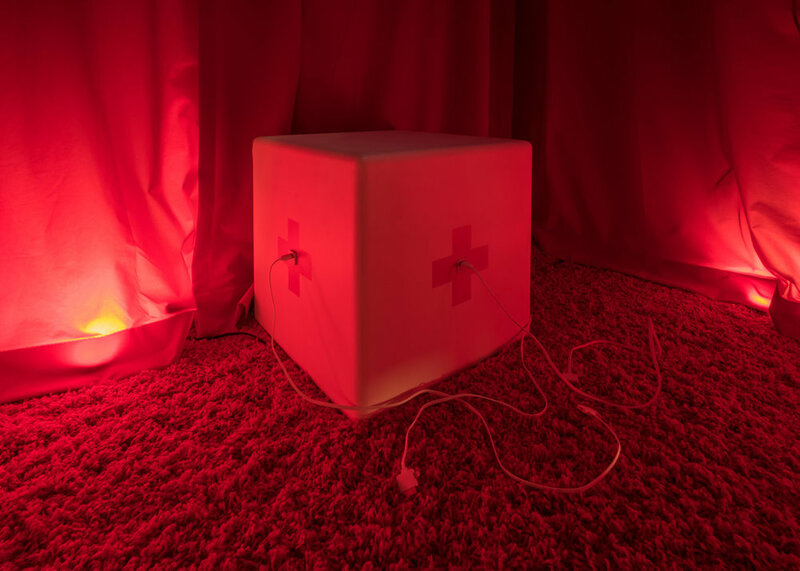 The series includes works in neon that express emotionally raw phrases in acronyms, our new digital language. 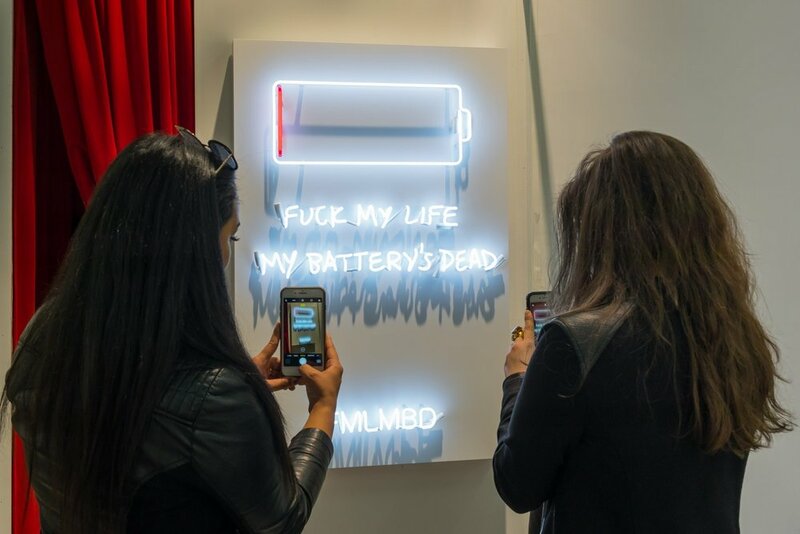 The installation at the 2017 Armory Art Fair invited visitors to step inside a booth where they could charge their phones and interact with the artist’s smartphone that was mounted on the wall. Participants took the liberty of taking selfies, sending texts, and saving memes to the artist’s phone.